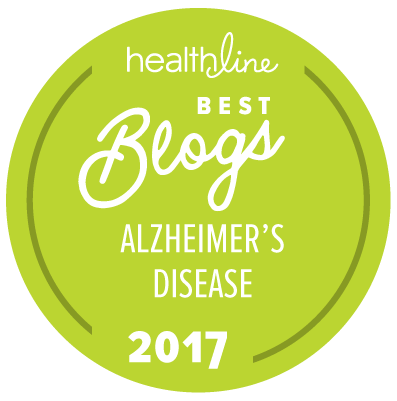 The first results from the GAP study of Intravenous Immunoglobulin (IGIV) for Alzheimer’s disease were just announced and are disappointing but not entirely discouraging. The primary results are clear — IGIV did not significantly slow decline of thinking abilities or preserve daily function in a large group of Alzheimer’s patients when compared to an inactive placebo. However, some positive responses were seen in certain subgroups of the participants who received IGIV. The GAP study was a late-stage clinical trial of IGIV carried out by the Alzheimer’s Disease Cooperative Study (ADCS) over the past five years with support from Baxter Healthcare and the National Institute on Aging. It enrolled 390 patients with mild to moderate Alzheimer’s disease from 45 ADCS sites in the United States and Canada. Participants were given either IGIV or placebo for 18 months. They were tested at regular intervals to see if IGIV was safe and effective in reducing dementia symptoms. The ADAS-Cog, a test of thinking abilities, and the ADCS-ADL, a measure of daily function, were the two primary endpoints measures. A host of other tests, scans and biomarker studies were carried out as secondary or exploratory outcomes to further examine IGIV’s effects. The study was carried out to a very high standard, setting goals that have not yet been reached by any medication for Alzheimer’s that is approved or under investigation. After 18 months of treatment, the group of patients who received IVIG were not significantly different from those who were given a placebo on either of the two primary endpoints. This means that IGIV was not effective in slowing the progression of Alzheimer’s disease. The news was not all bad, however. IGIV was well-tolerated, and some positive effects were observed in at least two subgroups of participants treated with IGIV. While the subgroup results are encouraging, they do not negate the primary outcomes. A positive result that is limited to a subgroup of patients can be considered a justification for further study, but does not provide the kind of evidence necessary for IGIV to be considered a useful treatment for Alzheimer’s disease. Only positive outcomes on the primary measures could have led to IVIG being accepted as a new treatment for Alzheimer’s and in this case, the primary endpoints were negative. What we stand to learn from the GAP study cannot be overstated. IGIV was chosen for study because it contains antibodies the human body produces naturally that react with clumps of beta amyloid protein and other molecules thought to be involved in the development of Alzheimer’s disease. In earlier phases of clinical study, IGIV showed considerable promise in slowing dementia-related decline, albeit in small numbers of patients. It was essential to determine whether or not IGIV could help most persons with Alzheimer’s and that is exactly what the GAP study has accomplished. While the negative primary results are undeniably a disappointment, the clear answers provided by the GAP study are a major step forward for Alzheimer’s research. IVIG is approved to treat a number of disorders, but not Alzheimer’s disease. It is expensive and in limited supply. Over the past several years, some physicians have chosen to administer IVIG to their patients with Alzheimer’s disease in what is called “off label” treatment based on the positive findings from earlier studies. The GAP study’s primary findings should discourage this kind of off-label use of IGIV for treatment of Alzheimer’s for the foreseeable future. However, Alzheimer’s patients already receiving off label treatment with IGIV should discuss their options carefully with their physician, taking into account that there were some positive effects observed in subgroups of IVIG-treated participants in the GAP study. The study results are still under analysis and a full study report will be presented to the medical and scientific community in July at the Alzheimer’s Association International Conference (AAIC) in Boston. This will include some of the brain imaging results and biomarkers that were collected from blood and spinal fluid during the study. These additional analyses will help to put the study’s findings into better focus and may provide new directions for future studies. As the GAP study leader, I want to acknowledge and express my gratitude to all of the participants in this study, especially the Alzheimer’s patients and their study partners for their invaluable and selfless contribution to Alzheimer’s research. I would also like to acknowledge the extraordinary efforts of the investigators and the research teams at the 45 ADCS sites that took part in the study as well as the many highly skilled persons at the ADCS, Baxter and the NIA that helped to bring this important study to fruition.